In the Media » GetRecD Events - Get Recreational while DIRECTLY supporting cancer patients. 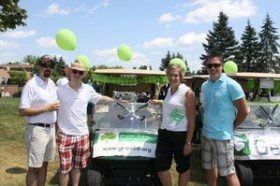 More than 140 golfers hit the links at Wooden Sticks Golf Club on July 18 to have fun and raise funds which will directly support 6 local cancer patients. The 2nd Annual GetRecD Valentine’s Bash took place at Le Parc Banquet Hall. Guests enjoyed a three-course dinner followed by a silent auction, raffle prizes, an open bar, live DJ and dancing all for a good cause. GetRecD Events hosted their 8th Annual GetRecD Golf and dinner Event on Saturday July 23rd at Glenway golf and country club. 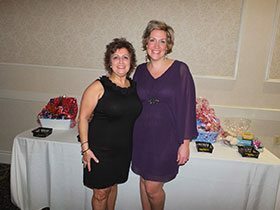 An everyday hero is someone who volunteers to enrich the lives of those in the community — someone such as Newmarket’s Laura Daly. The third annual Dodgeball event was organized by Laura Daly of GetRecD last month. 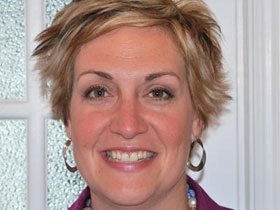 Unionville native Laura Daly is on a mission. 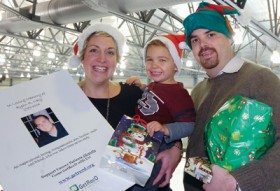 It is a mission not only to help cancer patients and their families, but also to honour the memory of her brother, Ryan. 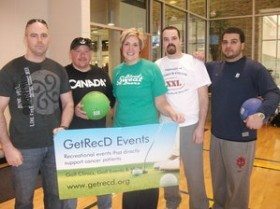 The 2nd Annual GetRecD Dodgeball Tournament was held on March 13th at the Angus Glen Community Centre. 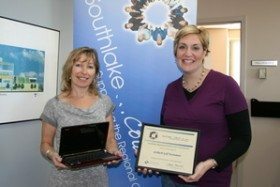 For the past 7 years Get RecD has been giving back to communities and cancer patients, this year they donated Netbook computers to the new Cancer Facility at Southlake Regional Health Centre as well as to Princess Margaret Hospital. GetRecD hosted their 1st Annual Dodgeball Tournament Charity Event on Saturday, March 7, 2009 at the Angus Glen Community Centre in Markham. I just wanted to thank you and Get Rec’d for an incredible stay at Blue Mountain. Cameron and Austin had a great time exploring the resort and of course, the water park. I wish you could have heard Cameron’s giddy laughter going down the Ridge Ride. It’s sort of like a roller coaster down the side of the mountain. I have to admit, I had my own permanent grin on the way down. Thank you again for the wonderful break! It was an absolute blast!